I don't know about you, but my most difficult decisions are not about choosing between good and bad. I usually know what is good and what is bad, especially when bad involves evil. My toughest choices are when I have to choose between good, better, and best. My love for God usually overcomes my weakness and I choose good over bad. But unless I've placed myself before God's word and surrendered my heart to him in prayer, I have a very tough time choosing between good and best. Yet I'm convinced that much of what God would love to do through us today goes lacking because we've settled for good when he longs to lead us to best! 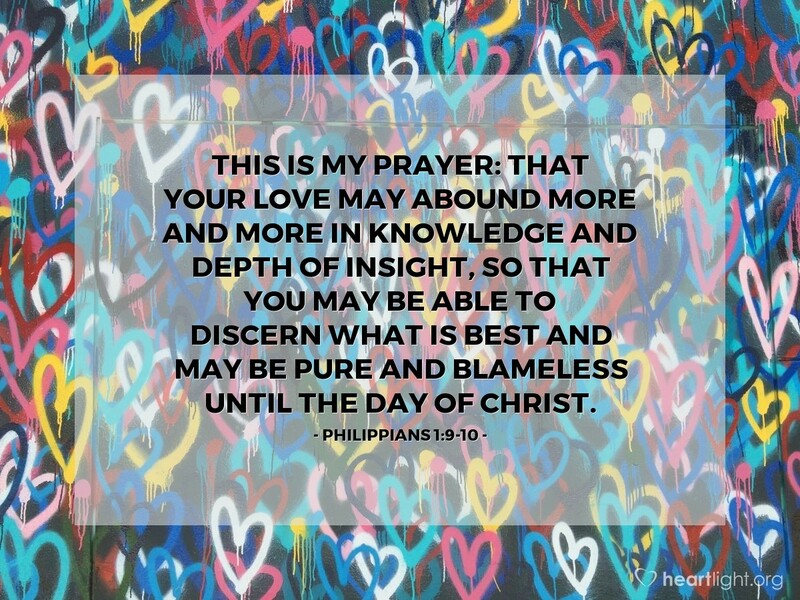 Gracious and Almighty God, teach me your ways and give me your heart as I strive to not only love you but to know your will and have insight into your ways. Help me to know the best things to do today and use my time in the best way possible to live out your will in my work, with my family, among my friends, and especially before those who do not know Christ as their Savior. In the name of Jesus Christ, my Savior and Lord I pray. Amen.